At Random Acts, we’re privileged to partner with some amazing organizations — and now it’s our turn to celebrate one of them. 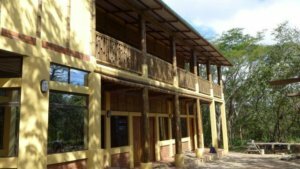 Please join us in saying a huge thank you to the wonderful folks at Child’s Play, who have awarded a generous grant to the Free High School of San Juan del Sur, Nicaragua. Random Acts has been involved with the Free High School since 2012, when our supporters helped fund a bus to transport rural students to and from school. Next, our Dreams to Acts: Nicaragua project started work on the Center for Human Development — a new purpose-built campus for the Free High School. Thanks to our supporters’ enthusiastic fundraising and volunteer work, the first building opened in February of 2017 and the campus is due for completion in early 2018. Its supporters have raised millions of dollars over the years, and Child’s Play says it’s “always striving to pursue new opportunities and expand the positive impact of the cause.” One of these new opportunities arose when they heard about Dreams to Acts and the Free High School. From just 12 students in its first year, the Free High School has now graduated over 1000 students, and their education has had a huge impact on the local community. As the school’s website explains, of its former students, “87.5% are employed, some in small businesses, some with local government, [and] many go on to higher education.” Several graduates even returned to the Free High School as teachers. As well as providing the Free High School with much-needed computers and audiovisual equipment, the Child’s Play grant covers solar panels and a rainwater capture system that will make the campus a beacon of sustainability. Not only does this donation ensure students have access to the highest-quality education, the state-of-the-art facilities can also be rented out for conferences and events — giving the school a source of income. To find out more about the important role the Free High School plays, check out our Meet the Students videos.